Happy Saturday and Happy Easter snarky sisters!!! Hoping the Easter Bunny brought you lots of yummy treats!!! 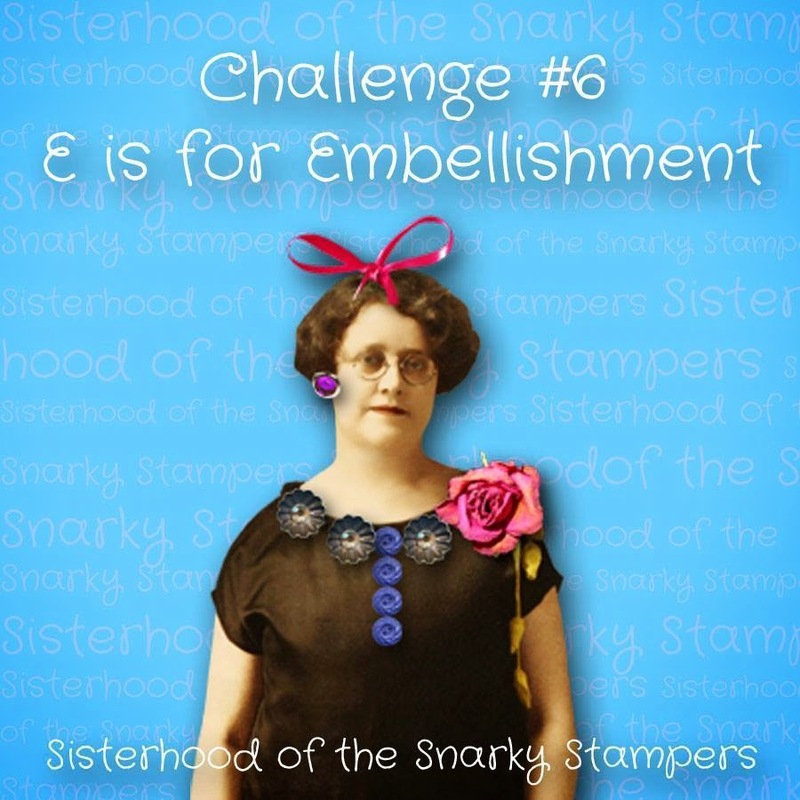 This week's SoSS challenge is....E is for Embellishment...ya, I bet you thought we were gonna say E is for Easter didn't ya...well that would kind of make sense, but that's just NOT how we roll. Visit the SoSS Blog for all the details on this challenge and to visit the blogs of the sisterhood to show them some crafty love!! My project started out as a card and ended up as an 8x8 layout...not sure how that happened but I am pretty pleased (if I do say so myself) with how it came out. Most of the supplies for my project are from the May card kit from SCRAPTURES which features Teresa Collins "Hello My Name Is." This is probably one of the most embellished projects I have ever made!! Want to join the sisterhood?? You have until 11:55 pm (EST) to upload your project to the SoSS Blog. Wow great scrapbook page, of course your subject is fabulous too. great picture of the "family"
I agree with Donna M, you need to frame this layout - it's gorgeous! Wow, awesome layout for an awesome day! Your embellishments enhance your photo so well! What a wonderful, beautifully detailed layout! I love all the wood shapes you used, and the colors are rocking together! NJ!